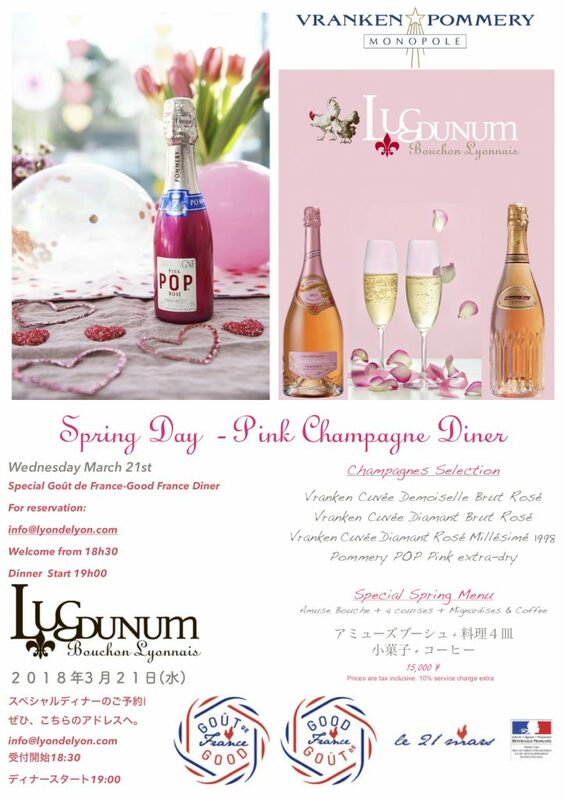 At the occasion of the Spring season’s first day (March 21st), Lugdunum Bouchon Lyonnais and Vranken Pommery Japan in partnership with Good France / Goût de France are delighted to invite you to join their Rosé Champagne Dinner. 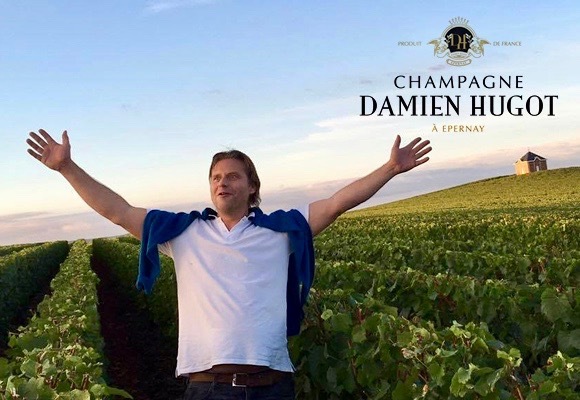 Let’s enter into the nicest season within the best way with great French dinner paired with Rosé Champagne. 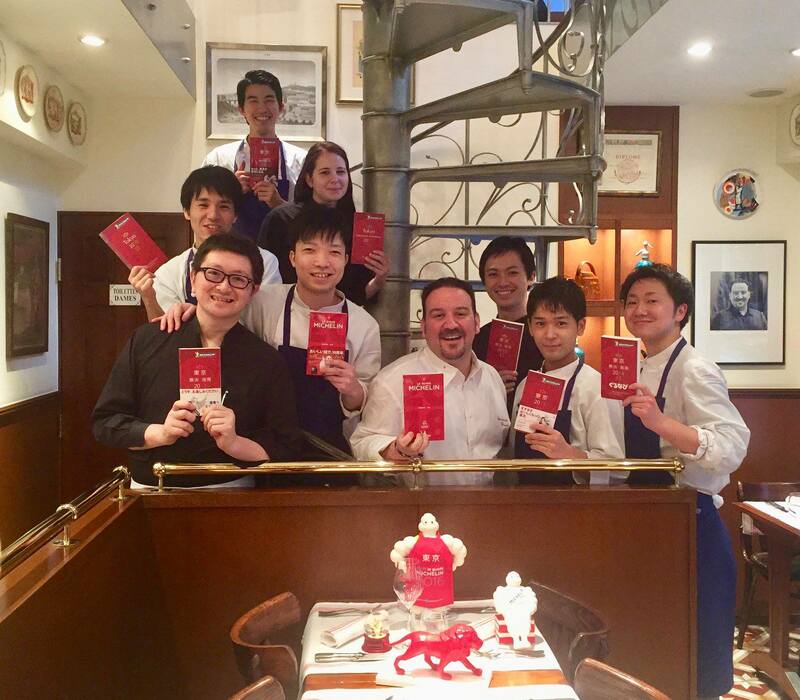 The theme of the night being Rosé, we invite you to bring Your Something Pink. It can be any pink accessory to enter Spring season in style (hat, jewel, scarf…. ).